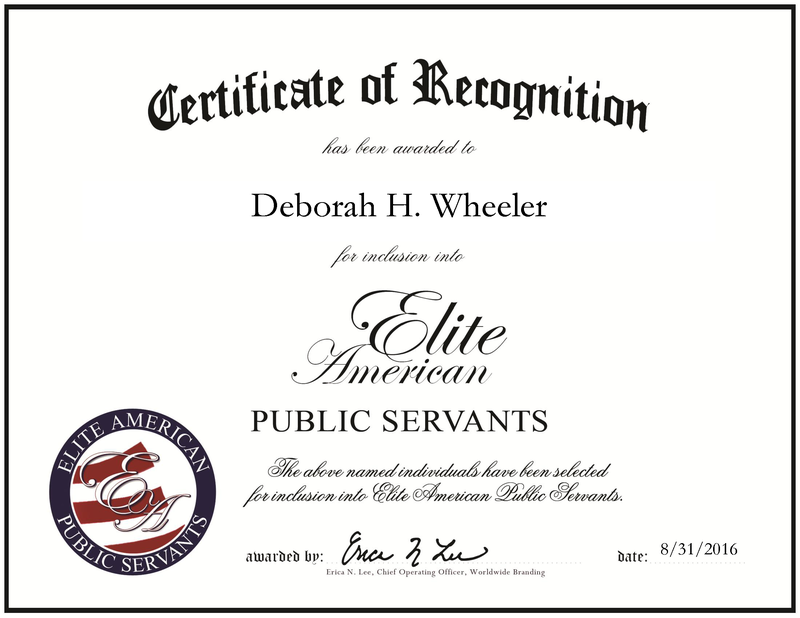 Northfield, NH, August 31, 2016, Deborah Wheeler, State Representative of The New Hampshire General Court, has been recognized by Elite American Public Servants, for dedication, achievement and leadership in government work. Throughout her career, Ms. Wheeler has endeavored to help her fellow citizens through legislation and leadership that has positive impacts on their lives. After retiring from the New Hampshire Department of Revenue Administration in 2002, she wondered how she could continue aiding her community. 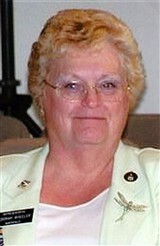 Eventually, Ms. Wheeler found herself running for public office and has since served several terms in the public office. Ms. Wheeler was approached to run for public office due to her experience in a union and with helping children in the community. She had retired early from the New Hampshire Department of Revenue Administration of service to become a caretaker for her husband and older siblings. In addition to working for the Revenue Administration, she was involved with the NH State Employee Association and her union, the Local 1984. Despite the early retirement, Ms. Wheeler remained committed to making a difference in her community. She joined the Retirement Chapter One in 2003 and has been active ever since. In addition, she is the chairperson of the election committee that oversees the chapter elections of her union. She also chairs the committee for the John B. Parker Award, an award that honors a very active union state employee. She has chaired this committee for more than 16 years. In addition to serving the public, Ms. Wheeler supports a number of charitable organizations. She is involved with the Franklin Elks, The BPOE Lodge 1280, Franklin Emerald Club #105 of the Supreme Emblem Club of The United States of America, Operation Santa Claus, and American Legion Auxiliary, Unit 49. Politically, Ms. Wheeler is driven by the goal of achieving better cooperation between all the parties, with more reaching across the aisle, as is the policy of her idol, Hillary Clinton. Ms. Wheeler wants to be remembered for doing a lot to help her fellow citizens, as well as for working on legislation that positively affects the quality of their lives. She wants to be remembered for helping without any thought to personal gain. This entry was posted in Government Agency and tagged court, government, public office, representative, state government. Bookmark the permalink.